Tai chi offers significant health benefits and new research is beginning to confirm some of the self-reported benefits that tai chi practitioners have talked about for years. Although research has already documented many of the significant health benefits of tai chi, far too few physicians regularly recommend it to their patients. This situation can change if the results of randomized clinical trials can be clearly presented to physicians showing the benefits of tai chi for specific conditions. The importance of exercise for health is widely recognized in the medical community. The promotion of tai chi as an exceptionally safe, enjoyable and beneficial form of exercise can play an important role in helping the medical community utilize the powerful health benefits of exercise. Exercise in general needs to be promoted to physicians-tai chi can help fill this need. It is not the case that many physicians are just ignoring tai chi and recommending other exercise. Many physicians do not do enough to encourage their patients to do any form of exercise. Since tai chi is considered a moderate form of exercise it would be an appropriate form of exercise for physicians to recommend to patients in order to meet the Center for Disease Control’s recommendation on exercise-that is to get at least 30 minutes of moderate to vigorous intensity activity on most days of the week. Since almost all physicians know that exercise is beneficial, why don’t more talk about it or specifically prescribe it to their patients? There are probably a number of reasons. One is, many physicians, while knowing that counseling about physical activity is important, do not feel confident in that role. 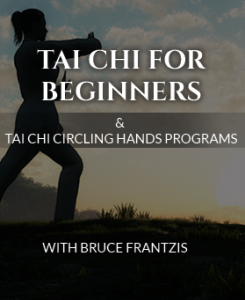 Tai chi teachers can offer local physicians an important resource by providing them with educational materials and offering classes that are appropriate for their patients. This will be just as valuable to physicians who already do actively encourage their patients to exercise as to those who do not. Randomized clinical trials are the gold standard for medical research. Physicians are familiar with this type of research as it is what forms the scientific basis for much of their practice. Research into the benefits of tai chi based on well designed randomized clinical trials will have a much greater influence on physician’s decisions to recommend tai chi to their patients. If we want to ask a physician to recommend tai chi to their patients we need not only to be able to answer their questions and present a compelling and scientifically accurate reasons for them to do so, we must also give the physician enough information so that they can answer basic questions that a patient may have and persuade the patient that it is worth their effort. Getting the physician to recommend tai chi may be the easy part. In order to have an effective program the patient must actually show up for the classes. Presenting physicians with the results of research will be far more effective than just saying that tai chi works. A healthy degree of skepticism on physicians’ part can be viewed as much as an opportunity as an obstacle since we believe that tai chi really works. All sorts of claims are made about the health benefits of all sorts of health practices, and few have anywhere near the benefits of tai chi. Randomized clinical trials are beginning to document the health benefits of tai chi and these results will help set tai chi apart from other forms of exercises. Without studies demonstrating that tai chi is an especially beneficial for one’s health, it will be lost in the crowd. The first step in getting physicians to recommend tai chi to their patients is to make sure that you have enough basic knowledge so that you can accurately educate them about tai chi and to have good leave-behind material both for the physician and for their patients. In most cases, you cannot expect to get much time with physicians, so any materials you give them will need to be very clear and succinct. Having more detailed, back up material is needed, but there should be an expectation that many would only read the summary and spot check the rest. It is important for the material to be accurate since if they look a statement up and find it checks out they will feel more confident with the rest of the material. If not they will not consider it credible. We hope that the research being compiled on the Energy Arts website will provide the foundation for such material. 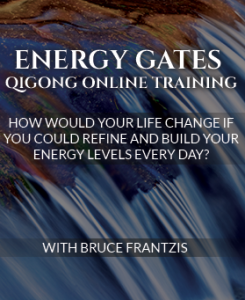 Eventually the intention is to provide Energy Arts Certified Instructors material to use. 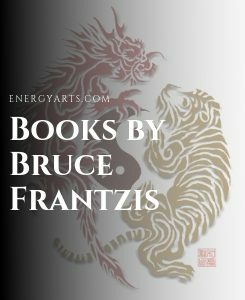 This material would include, summary information targeted to the specific type of physician and information about the instructor and their tai chi classes. One component would need to be flyers the physician could give to the patients themselves. At some point in the future, Energy Arts will likely format the information in the research section of its website into a brochure that can be left behind for physicians and their patients. 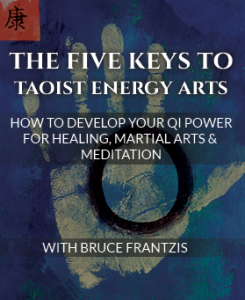 In conjunction with promoting tai chi for health to physicians and their patients, it will be very helpful if at least some Energy Arts certified instructors become involved in research projects to investigate the benefits of their classes. This will help provide confidence that they can in fact help their students achieve measurable health benefits and will show that we are making a good faith effort to demonstrate that our classes really provide the value that we believe they do. As I have already organized and carried out a small study with a local neurologist on the benefits of tai chi for Parkinson’s I know that this type of research really can be done. I plan on expanding on this work and hope to involve other Energy Arts certified instructors in other research projects. Participating in medical research not only will provide the results that, in the long term, will demonstrate to what extent tai chi is beneficial, it also helps to start important relationships with physicians. For instance, South Coast Medical Center’s movement disorders program continues to list my tai chi for Parkinson’s disease class on their website and the neurologist I worked with on the study continues to recommend my tai chi class to many of his patients. Tai chi offers the potential to save billions of dollars per year in health care savings. For instance by 2020 the medical costs due to falls among the 55 million US seniors age 65+ are expected to grow to over 54.9 billion, about $1,000 per person. In the studies done so far, tai chi reduced the risk of falls by about 50%. If this reduction can be maintained, then for a typical person age 65+, practicing tai chi would save $500 per person, just in savings from falls. These savings would likely be even greater since practitioners of tai chi might be expected to have fewer injuries in the falls they do have. Of course, there are many other well-documented health benefits of tai chi, which would likely result in significant direct and indirect health costs. In fact a strong argument can be made that for many groups of people, such as individuals age 65+, Medicare or the person’s health care insurance, will save far more in health care costs than the tai chi classes will cost. This suggests the possibility that they might be interested in helping to promote tai chi. They could help in several ways ranging from subsidizing tai chi classes to providing free advertising for classes. Research into tai chi for health will help make such arguments all the more compelling. Scientific research into the health benefits of tai chi can lead to a much greater utilization of tai chi as a complementary health practice. We can help make this occur by helping to make more physicians and their patients aware of these findings. There is an excellent opportunity for tai chi instructors to expand their classes and help people improve their health by talking to physicians.